We promised we would share what we are making and here it is! 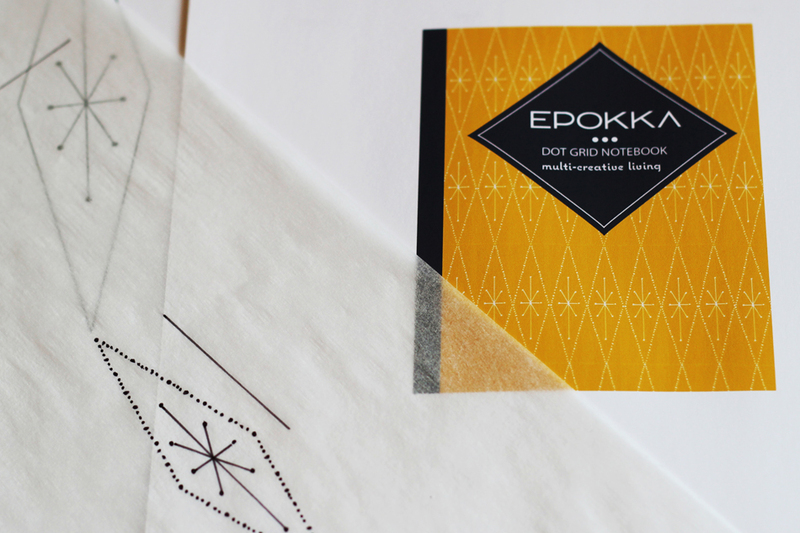 This is the Epokka’s DUO, the semi-final prototype of what will be our notebook system for multi-creative people in a juicy yellow and blue color scheme. As I mentioned in an earlier post, one of the biggest problems Koldo and I have always had is being able to keep our notebooks in one place. When we talked to other creative people, we realized that they had the same problem too. When you like to create different types of things or brainstorm in different ways, it can get messy carrying around multiple notebooks all the time. 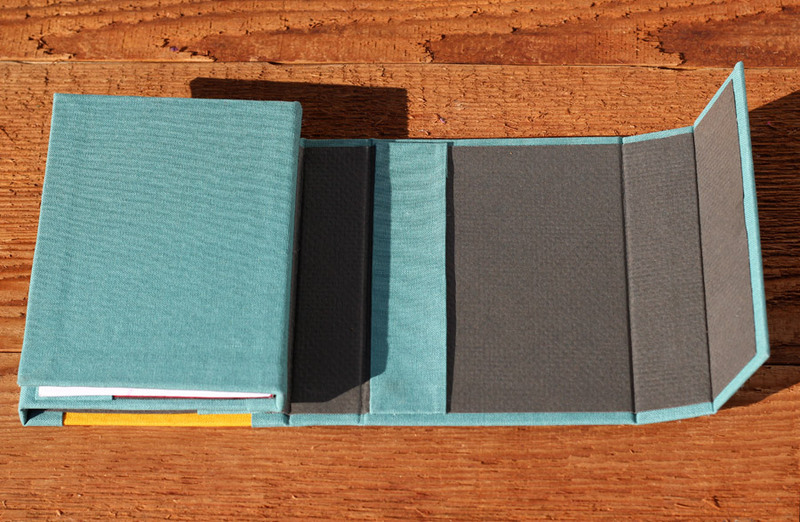 The Duo is a way to carry two notebooks in one place, wrapped in a beautiful hardcover made with traditional bookbinding techniques for protection. There will also be a small handy envelope in the back to carry bits of paper and notes. And not only will there be a DUO, but there will also be a TRIO (for three notebooks) and an UNO (for one notebook) for those who don’t need to carry around several notebooks, but like hardcover protection and beauty. We have a semi-final version of the prototype of the DUO itself although the notebooks inside are still in the development stages. We hope to have a preview of those and other fun things we’re working on in the next few weeks! 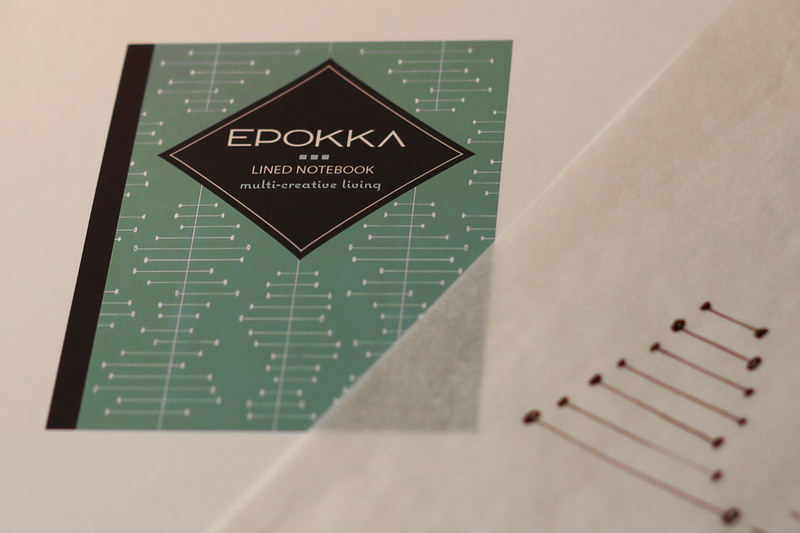 We’ve been quiet the past 2 weeks waiting on the rest of our samples to get in and refining the Epokka’s prototypes. The prototype iteration process is a unique challenge. Originally, we did the careful measurement calculations and made a diagram on the computer. However, we quickly had to trash that idea and go with a more organic method of experimentation and refinement to get the look and feel, functionality, and best usability for the product. When you have a physical object in your hands to work with, all the best measurements and calculations in the world will only get you so far. There are also many different criteria to look at each time. We are learning that careful documentation isn’t just a “nice-to-have” but key. The good news is that with each prototype we’re getting closer and closer! 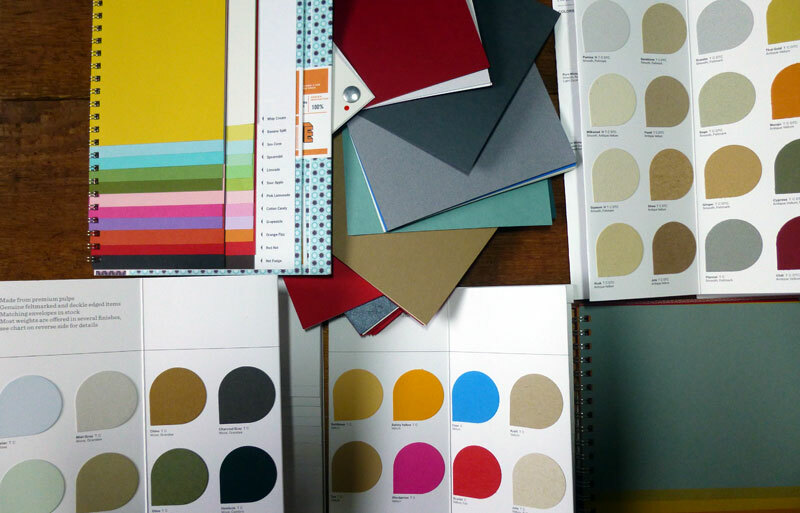 We’ve finally narrowed down the notebook paper that we think is just amazing and we’ve also got the main color choices narrowed down to three or four schemes (none of these colors are in the photo). Choosing which to put out first will be difficult! Now we’re still correcting the sizes and some other small technical issues. You’d be amazed at just how big a millimeter is when you need to get things perfect! As I mentioned in a previous post, the main problem we have been working on is finding a good solution for people who create many types of things. One of the problems with this is that it’s difficult to find just one notebook to suit different needs. We were clear since the beginning that paper meant for drawing (with both ink and pencil) needs to be different from paper meant for taking notes or technical drawings. 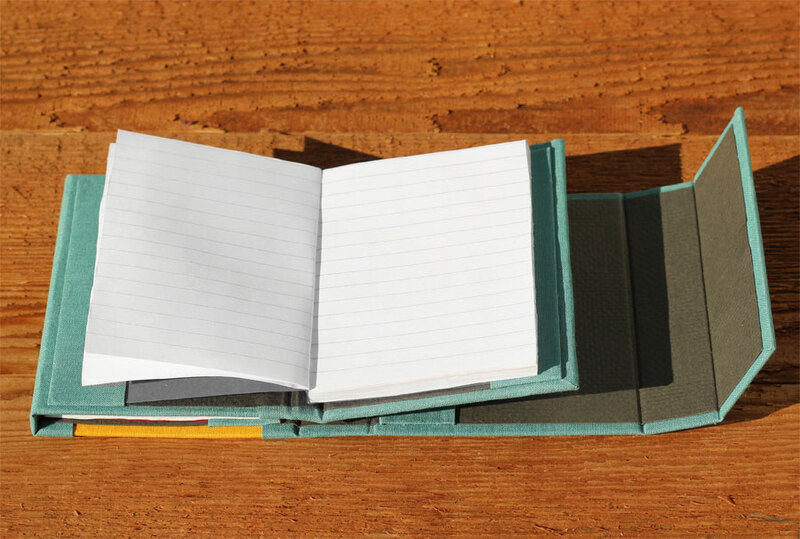 So, we set out on a mission to find the ideal paper for each of these uses. And boy, did we do a lot of searching! Above you can see a few of the tests we ran with different types of ink and different types of paper. Koldo is particular about drawing paper and I’m particular about writing paper, so we put our focus on each area until we found solutions we were both happy with. For the drawing paper, Koldo tested with various markers that are popular among artists and illustrators. 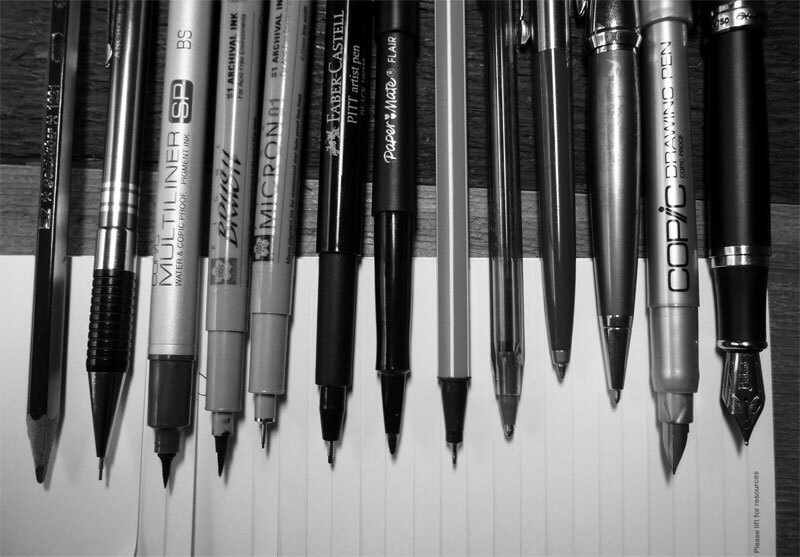 For the writing paper, we ran different tests using everything from regular cheap Bic pens to higher-end and fountain pens. 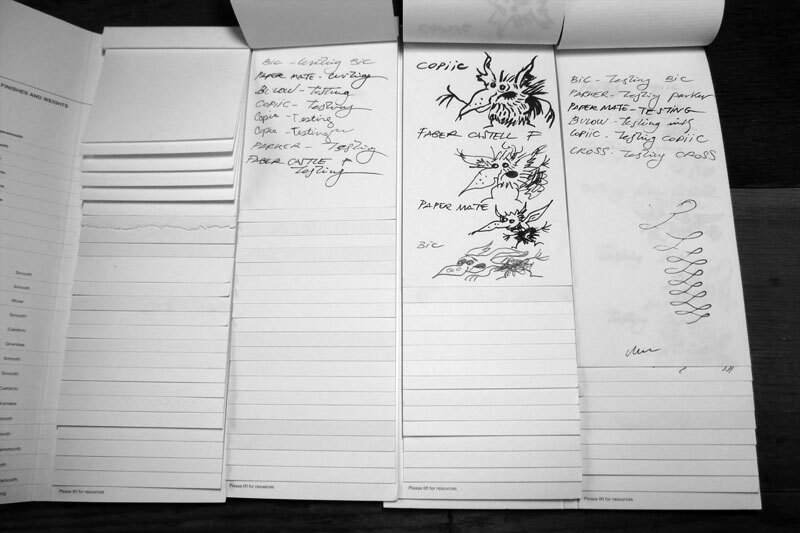 We tested for bleed-through, fuzziness, smoothness and glide, scanner friendliness, and feel of the paper. We finally found two that we think are just amazing and they are acid-free archival quality and environmentally friendly. We can’t wait to get them into new prototypes and start the heavy field testing! Yesterday we got a lot of paper samples in the mail. We were and still are so excited about choosing which papers to use! Some of the papers are beyond gorgeous and the colors are rich and full. It’s very exciting! But, we have to confess, it does feel a little bit overwhelming. When you multiply that with the amount of paper samples we now have to choose from, the possibilities are about limitless, which is both a good and a bad thing. Our initial product will have a total of 7 different papers and that’s not including any packaging. 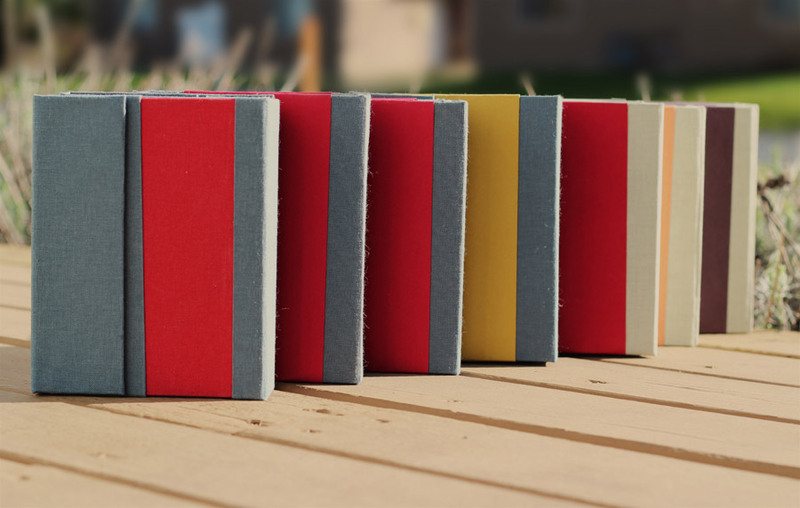 Our next step will be spending time narrowing down the color combinations we like, making prototypes with those, and running tests on the writing paper to see which work best for all the different uses we need it for. I believe we’ll be having a lot of meetings and a lot of coffee this week! 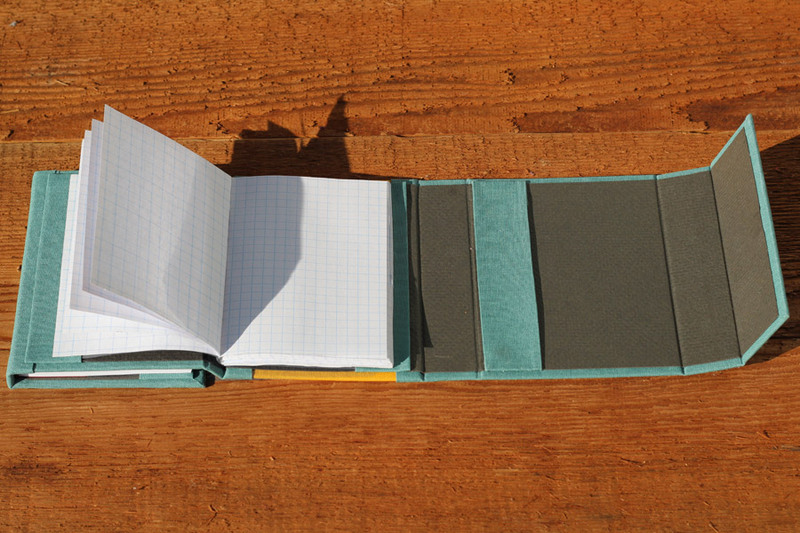 Finding a right cloth for our forthcoming notebook products has been a challenge. We finally got all of the swatches we requested in the mail, but we’re not convinced on any yet. We decided to get the bookbinding cloth options we could find and start there because if we use another fabric, we’ll need to back it with paper and it may not be as durable as a bookbinding cloth if we don’t choose the fabric very carefully. 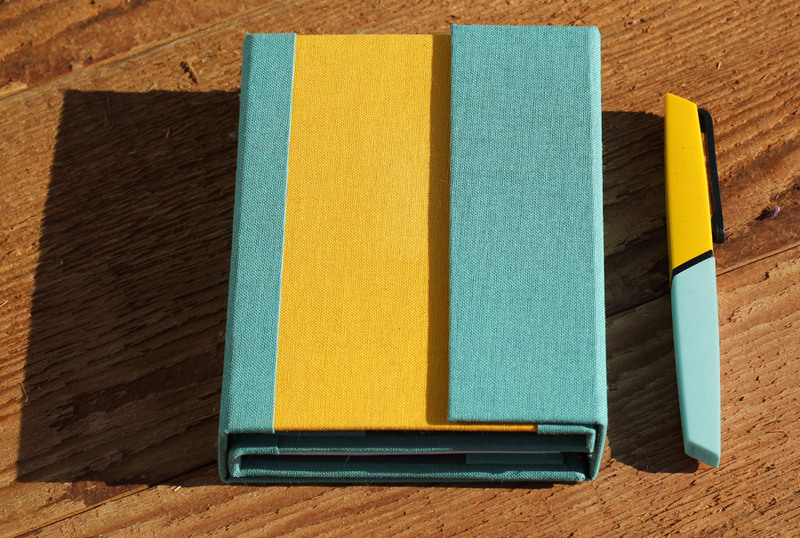 We requested some beautiful Japanese bookbinding cloth samples. They’re gorgeous, but most of them are shiny, which won’t suit what we want to do. They would be perfect for wedding photo albums, memory books, and other special books where something elegant is needed, but aren’t just what we need for our product. Then there are other bookbinding cloths that we like the feel and texture of, but the colors feel a little outdated or aren’t neutral enough to be combined with other colors easily. 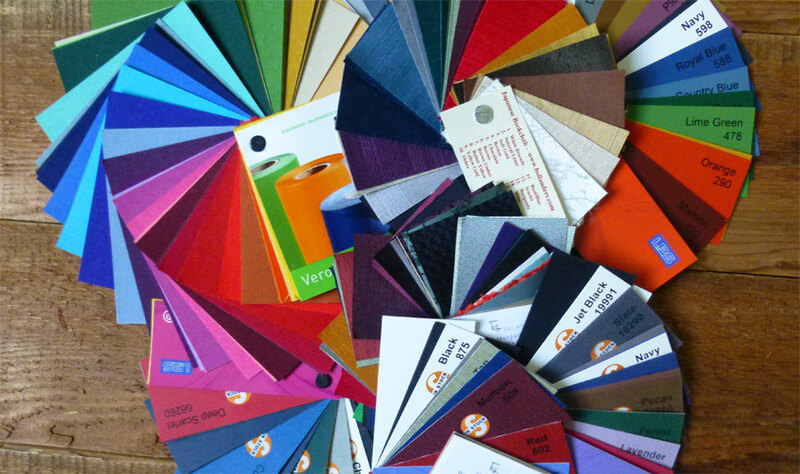 It’s surprisingly difficult to find a decent selection of bookbinding cloth colors. For now, we are going to keep requesting some regular fabric samples and wait for the paper samples to see how the combinations look together. For the last few weeks, Naomi and I have been into an adventure of discovering the right materials for the product we are creating: fabrics, paper, boards, tools, and all short of inspirational nick knacks. After four and a half years living in the USA, I have to say that little old shops are one of the things I miss the most from Europe. Naomi and I talk about it all the time. We think it’s a tragedy how the USA steadily lost the cultural and social richness of small commerce in favor of giant companies and chains. Sadly, this virus is also now affecting old Europe and some of the treasures are going fast there too. When Naomi and I first talked about the kind products that we wanted to create, there was something very clear in our minds: we wanted to bring back the human touch and crafty feeling from the old days. Oh boy! 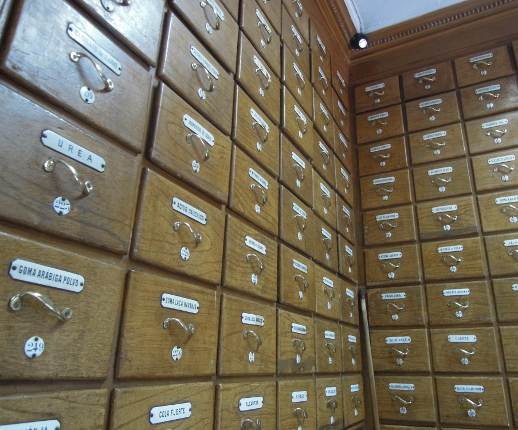 I so miss those rainy afternoons in Madrid and London when I would go treasure hunting to these ancestral shops! Having been involved in different kinds of creative products myself -art, design, paper crafts, book binding, engraving- these journeys became a magical experience to me. 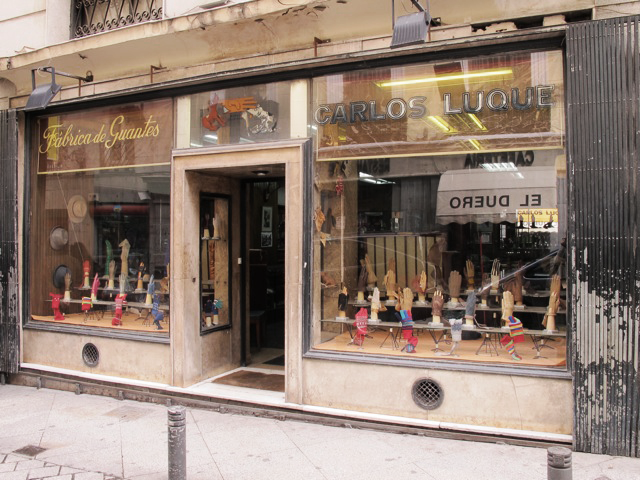 In downtown Madrid, only in a ½ miles radius, I could visit the oldest shops specialized in all short of materials: fabrics, papers, engraving tools… The kind of old-fashioned business where the clerk who could be your grandpa and he would spend all the time in the world just to attend your inquiries and he’d always teach you something new. The kind of mysterious haunt where you would always leave the shop with something in your bag better than what you were looking for and your mind would be completely over-excited all the way back home just to start working on your project. Ribes & Casals was my favorite spot to find fabrics. The two-floor store is huge and you can find almost anything under the sun in there. Believe me, you couldn’t imagine what strange patterns I have found in there… You bet. 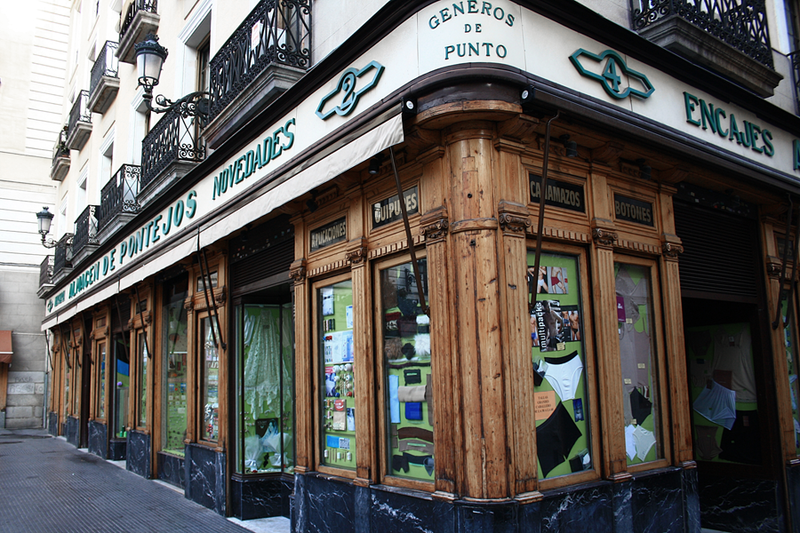 Pontejos is the most infamous haberdashery in Spain. It was founded in 1860 and just to step inside, in the middle of a crowd looking for all short of stuff is such an adventure. 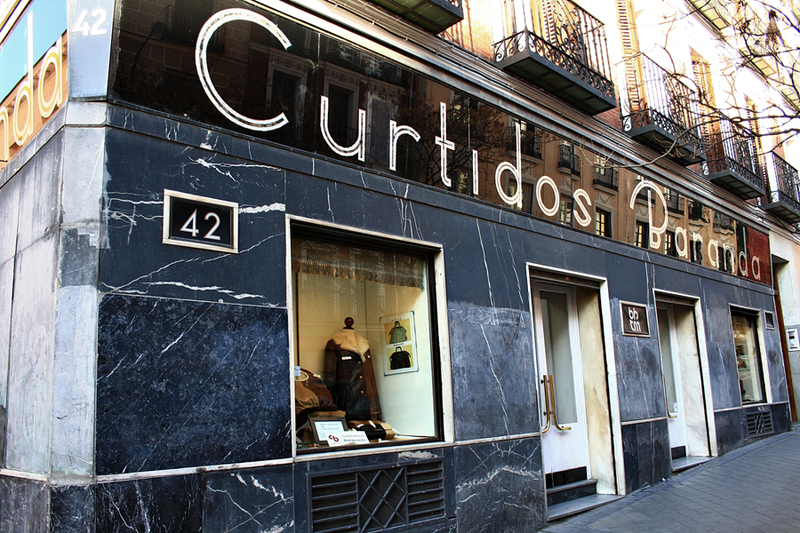 Curtidos Lobejón it’s not just one of the best places to find any type of leather and tools, but a wonder in deco design. 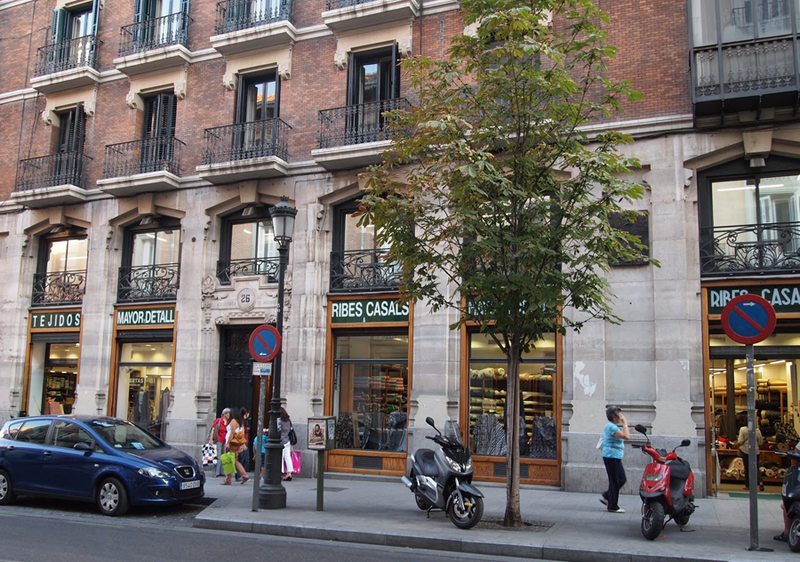 Riesgo is still the best drugstore in Madrid, especially if you are looking for very specific products, such as color pigments. They would sell you the stuff by weight, just like in the old days. No wonder, the shop was founded in 1866. Carlos Luque. 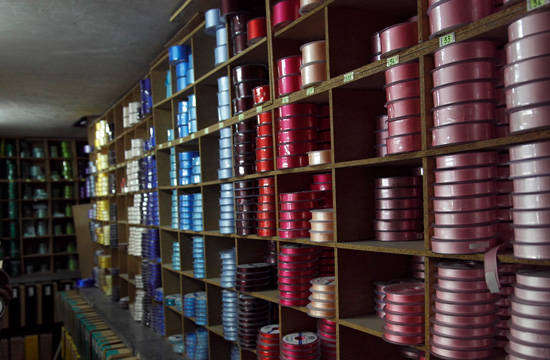 This shop and manufacturer is specialized in gloves and it has been in business since 1896. It’s not a materials shop but very often I would go to buy gloves and mittens just for the illusion that I was back in the 40’s. This is what we’re looking for. We want a practical and clever product that will make our lives better. But we want it to be organic. And we want to feel the magic of a time when objects used to be an extension of the way we dream the world.